Bangladesh recorded a budget surplus of Tk 2.37 billion in the six months to December of the current fiscal year, mainly due to slow spending of budgetary resources. Finance minister AMA Muhith disclosed Wednesday this while presenting a report on the budget implementation and macro-economy in Parliament. The surplus is significantly larger than previously-estimated as Bangladesh had a deficit of Tk 64.44 billion in the same period a year ago, according to the documents placed in the Jatiya Sangsad. Terming the country's graduation to a developing country status from a least-developed country milestone, Muhith, in his speech, said Bangladesh met all three criteria of the United Nations. The documents show that there were two reasons for such type of fiscal surplus: Rise in foreign funding in the budget and the net sales of national saving certificates. Muhith in his statement said the there was no budget deficit upto December last. However, the government estimated a budget deficit of 4.8 per cent of the gross domestic product (GDP) or amounting to Tk 1.0678 trillion for the current financial year. Funding from external sources to meet the budget deficit was estimated at 2.1 per cent of the GDP while that of domestic sources at 2.7 per cent. External funding used to meet the budget deficit during the period under review was much lower, only Tk 24.23 billion. However, foreign loan increased to Tk 68.72 billion to fund the budget against Tk 38.37 billion during the same period a year ago. On the other hand, the volume of grant fell significantly to Tk 360 million to December 2017. It was Tk 1.305 billion in July-December 2016. However, the government spent a total of Tk 1.02957 trillion during the period. The amount is equivalent to one-fourth of the total estimated budgetary expenditures for the FY 2017-18. The overall resource mobilisation by the National Board of Revenue (NBR) picked up by nearly 17 per cent to Tk 888.43 billion. It was Tk 760.08 billion during July-December, 2016. But the amount mobilised by the NBR during the first half of FY '18 was much lower than the targeted amount. The collection of non-NBR tax revenues climbed by nearly 39 per cent to Tk 37.87 billion over that of corresponding period of last year. The non-tax revenue, another key source of budget funding, also increased by nearly 3.0 per cent to Tk 105.27 billion during the July-December period. 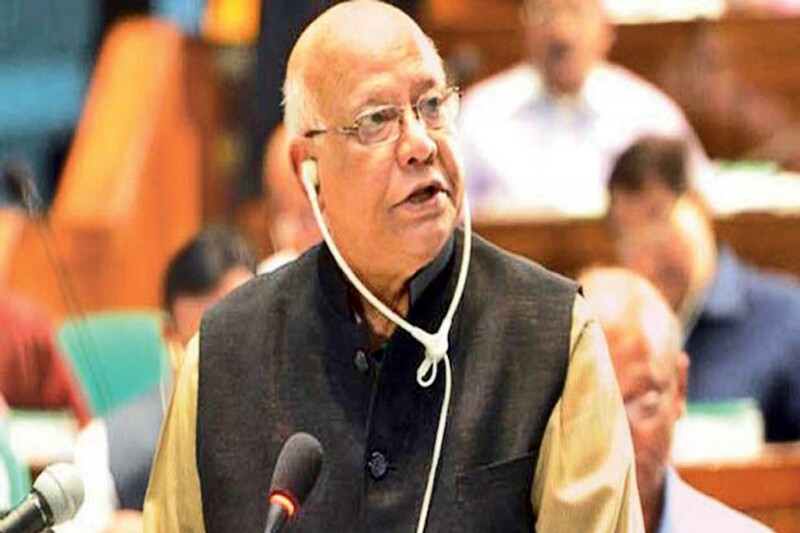 Muhith told Parliament that it will be more dignified for Bangladesh to embrace the competitiveness rather than enjoying duty-free trade facilities. "I have no hesitation to say that it's more dignified to maintain the competitiveness rather than enjoying duty-free trade facilities," he said. Muhith said as a nation, it is desirable that Bangladesh will be a self-dependent and developed one discarding dependency on others. "Our economic position is now much more integrated and stronger," he said. He said Bangladesh has been able to maintain its expected trend in the USA market without duty-free facility. "Our position of self-confidence has been strengthened," he said.